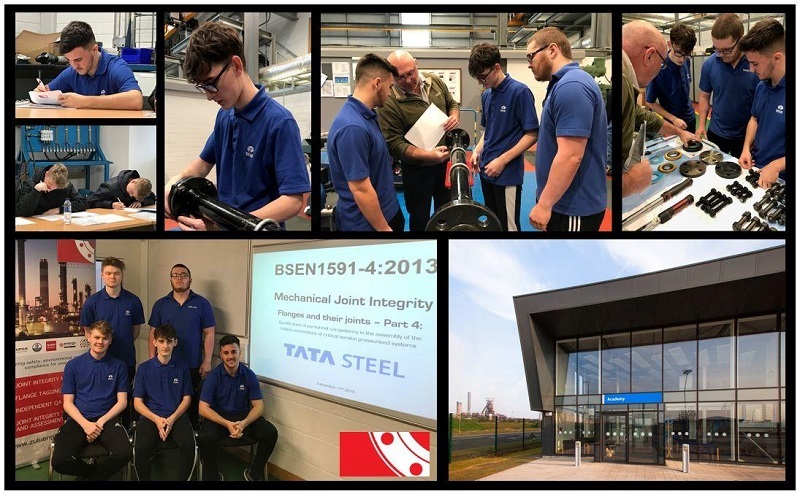 Today we are continuing to deliver BS EN 1591-4:2013 joint integrity training and assessment to Tata Steel apprentices at their impressive training academy located at Port Talbot works. Adherence to regulatory compliance, industry guidelines and best practice to prevent process leaks includes proving competency – this is currently a hot topic in UK industry and the need to understand the principles of mechanical joint integrity and to have the underpinning knowledge and skill set to work safely on bolted joints (particularly in highly hazardous areas) are greater now than ever before. We are a great advocate of apprenticeships and it is so pleasing to see Tata Steel invest in its apprentices regarding the serious – but often overlooked subject matter of joint integrity. After all, these young men are not only the future of Tata Steel and the Port Talbot works, but the future of UK industry.